About a week ago, conservatives were largely respectful of Christine Blasey-Ford. She was called a credible witness who’s claims needed to be taken seriously. Then Donald Trump slammed her during a campaign rally in Mississippi and the floodgates have opened. 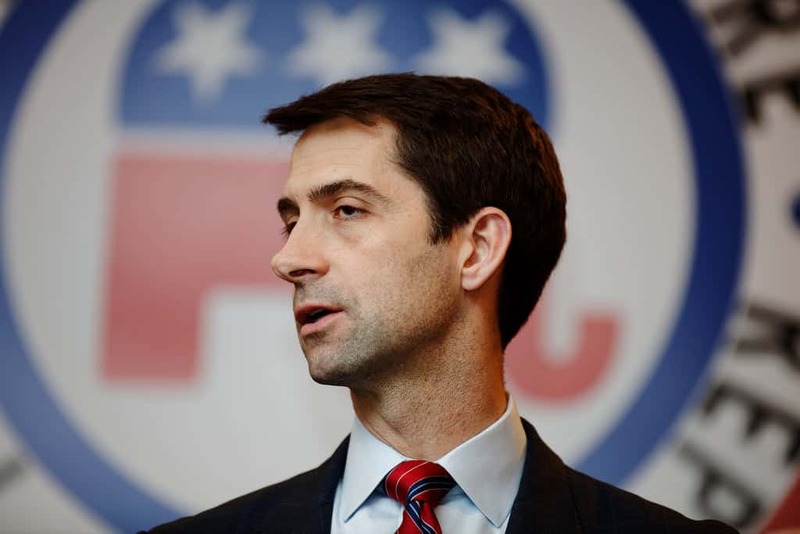 Last night, Trump apologized to Brett Kavanuagh on behalf of the nation for the “Democrat’s hoax.” Today, Arkansas Senator Tom Cotton took it a step further by creating a conspiracy theory involving Dr. Blasey Ford, Chuck Schumer and Dianne Feinstein. The senator explained that there was a connection between Ford’s friend Monica McLean and Preet Bharara. Bharara was a celebrated US Attorney who was famous for taking on financial corruption in New York City. He was fired by the president shortly after Donald Trump took office. Cotton claimed that McLean once worked for Bharara and then worked for Schumer so there was a line connecting the three of them. This is part of a delicate Republican balancing act to prevent further harm from losing female voters. In this case, Cotton stays on the side of believing Blasey Ford, while placing the blame on opportunist Democrats. While there are many strings to tie together on this dubious claim, there are sure to be many who buy into the claims as proof of Kavanaugh’s innocence.